Elle Kibblewhite has plenty of sea-faring achievements to her name. At 16, Elle began working with her Dad, Richard, cray fishing and set netting on Splashzone 2 during the summer. She also gained her commercial electrician’s trade certificate. Now 23, Elle has since gone on to complete her SRL (Skipper Restricted Limits) and received her 24 metre vessel endorsement. She has completed five days as watch keeper on the Resolution 2 for part of the hoki season and has even tackled her first crossing of the Greymouth Bar. Between trips, she assisted by skippering and crewing several vessels in Napier while a 260 tonne pulp mill water outlet was installed and went on to later support a group of three 15 metre twin-hulled wakas from Napier to Wellington in a 25 knot southerly. 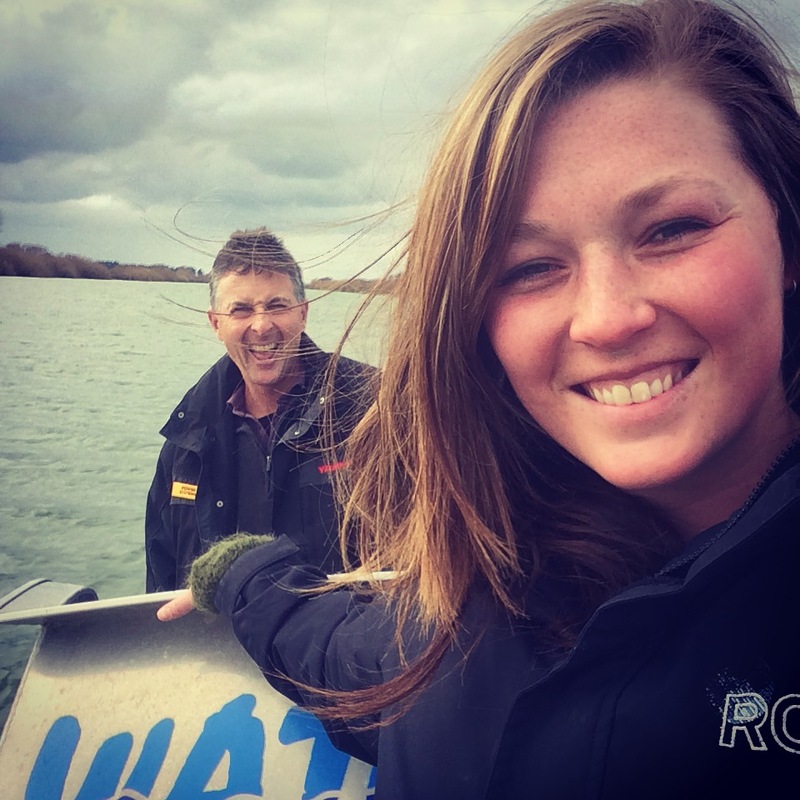 Elle joined FV Arrow as first mate 12 months ago, and recently joined a mission to support a solo kayaker who had set sail from Australia two months previously. While not having the ticket required for the 150 nautical mile trip off the coast, she oversaw the mission. The kayaker was out of drinking water, in need of a hot meal and moral support from the Arrowcrew. At 1.30 in the morning, with no mobile phone and scant marine radio coverage – Elle and her team located Scott Donaldson and spent three days supporting him in his final push into Port Taranaki. Elle has been nominated for the Young Achiever Award of this year’s Seafood Star Awards which will be presented at the Seafood Industry conference on 2 August. This award is presented to a person, 35 years of age or under, who has demonstrated that he or she has made a positive difference to the seafood industry, and has the potential to continue to develop as an effective and respected seafood industry leader or role model.